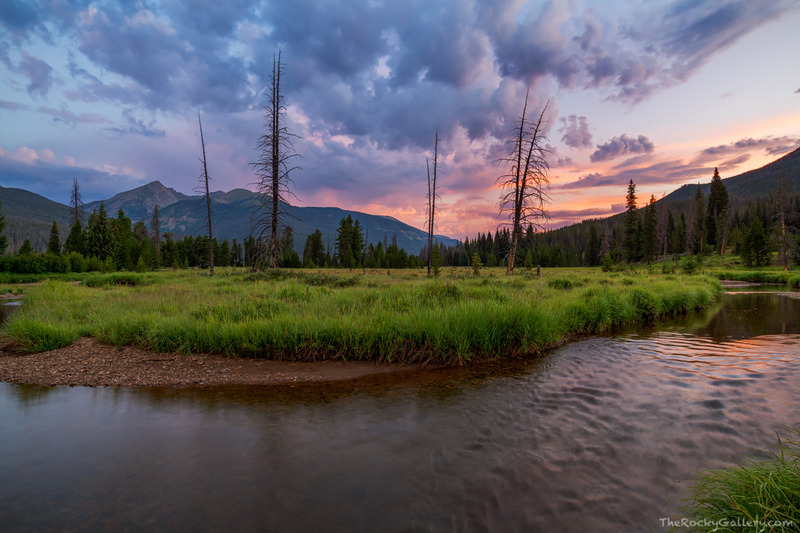 The headwaters of the Colorado River begin on the west side of Rocky Mountain National Park. The Colorado River weaves, turns and bends its way through the Kawuneeche Valley. The meandering beauty of the Colorado is emphasized here with a beautiful sunrise over Baker Mountain and the west side of RMNP. Photo © copyright by Thomas Mangan.